When the BPA scandal broke, many people stopped using hard plastic cups and bottles and switched over to stainless steel. Yes, it was much more costly, but most people found it to be worth the extra expense because stainless steel does not have bisphenol A (BPA). Sigg was a very popular choice with parents because it was not prone to leakage and came in cute syles. Last week, however, they announced that bottles made before August 2008 did have very small amounts of BPA in their lining. The two liners look different so if you are not sure which bottle you have check out the image above for the differences. I would like to note here that Sigg never claimed their bottles were BPA free and consumers just made the assumptions that they were. They do state that they were looking for a way to create a BPA free lining for their bottle since 2006 and it took them until 2008 to implement the change. Unfortunately, many people feel mislead and are not happy to have to throw out expensive steel bottles. I would advice that you contact Sigg before throwing anything out and see what they are willing to do for you. The latest I have heard is that they will exchange them for you. 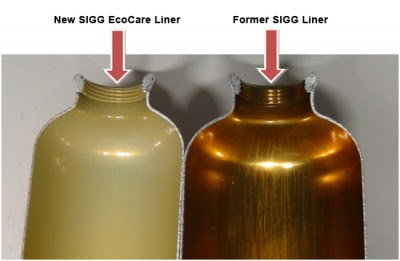 You can contact them at liners@mysigg.com for the exchange. Here is the Sigg press release from their CEO "explaining" the situation. I guess the lesson we can all learn from this is never make assumptions. If someone refuses to disclose information (Sigg refused to disclose what their liner is made of), they probably have something to hide. Thank you to all those who have entered our giveaway. We are now adding an additional incentive for people who post links to the giveaway on other sites, forums etc (aside from getting two entries into the contest). If you are the winner and you posted a link on another blog, forum or social networking site you will win a pair of organic Babylegs in addition to the Aden and Anais Swaddle Blankets and Miracle Blanket. So start posting! Spread the word!! We can't wait! We are also postponing the end of the contest to 9 PM EST Thursday August 27, 2009. Giveaway Time-Swaddle Supreme-Aden and Anais and Miracle Blanket! Updated! UPDATE: Congrats to #7, the winner of our Super Swaddle Giveaway. Stay tuned for our next great giveaway. It's GIVEAWAY time again. This time we are giving away a great swaddling package-an Aden and Anais Swaddle Blanket 4 Pack in Black and White and a Miracle Blanket (choice of pink, blue or natural)! Aden and Anais Muslin Swaddle wraps are great for soothing and calming your baby. Their 47"x47" practically ensures you that the swaddle will not come apart and the soft, cotton muslin is breathable and cozy. Muslin helps regulate body temerature so you don't have to worry about the baby overheating and the breathable fabric may help prevent from SIDS. The Aden and Anais swaddle blankets uses outlast the baby's swaddling days-I have used them as a nursing cover, as a lovey, and as a clean area to put baby down to play. They roll up small so they fit easily into your diaper bag and open up large which makes them great to keep on hand! Onto the Miracle Blanket--it was given this name for a reason! Some of our customers swear by this blanket and will not try anything else. They say it has changed their baby into a different person. The Miracle Blanket's unique swaddling method helps create a tight swaddle that helps reduce nighttime twitching and helps baby sleep better and tighter. The fabric is a super soft cotton knit selected for several good reasons: It's breathable so that it can be used in warm climates while still being luxurious enough to keep your baby warm in cooler places. It has just enough stretch to absorb your baby's movements without coming undone but it's not so stretchy that it won't stay tight. Enter the contest, try both products and let us know which you prefer!! Contest ends Thursday August 27, 2009. Winner will be picked by randomizer on that day. If I do not hear back from winner within 3 days, a new winner will be chosen. 1. Follow Dainty Baby on Twitter. Come back here and post a comment letting me know that you became a follower. 2. Follow Dainty Baby's Blog. Again, post a comment back here letting me know you did this. If you get a friend or family member to become a follower, that counts too! Just post an additional comment for each follower you get! 3. Make a post or blog entry about this giveaway on any online forum, group, blog, chat room, or social networking site with a link back to this contest. Post a comment back here with the link of where you did this. 4. Leave a comment on Dainty Baby's blog discussing any aspect of swaddling or one of the products being given away. 5. For bonus entries, make a purchase on our website http://www.daintybaby.com/! Every purchase will get you 4 additional entries! Come back here and leave 4 comments so that you get entered. 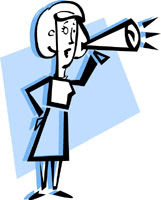 If you post anonymously, make sure you leave your email address in the post so that we can get in touch with you. If you prefer, you can email your entries to me at rachel @ daintybaby.com (without the spaces) and I will add your comments. The adorable Monkey Toes handpainted shoes are now 40% off. There are only a limited selection of sizes and styles available so shop quickly. Suri Cruise wore the Little Ladies Mary Janes (above pic) when she was on Oprah! They were a real hit!! 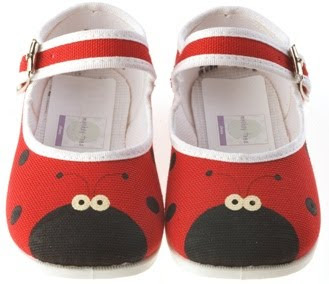 Monkey-Toes is a playful line of fun animal and insect themed footwear for children. Each pair is individually handpainted so each is unique and beautiful! I love putting soft, comfy cotton clothing on babies. There is just something so comforting about sliding their tiny arms and legs into cozy, cottony sleeves and pants. It makes me so happy to see them comfortable and when you pick them up they feel so silky and delicious. When you use Organic Egyptian Cotton the clothing is just softer and silkier. Under the Nile is an ethical brand that has the yummiest, softest egyptian organic cottong clothing. First of all, before we get to how cute the clothing is lets discuss why we would want to use organic baby clothing. It is sometimes more expensive (however not in the case of Under the Nile clothing) and you can't really see a difference so what is the point? Why go organic?? Conventional cotton contains pesticide residues as well as many chemicals used in the finish of the cotton. The dangerous pesticides end up on the your or you baby's skin through direct contact with the fabric, and can absorbed by the body through the skin. These chemicals affect many people. Not only does conventional cotton negatively impact peoples health, but also it seriously affects our environment. Cotton pesticides contaminate our ground and surface water. Birds are killed from aerial spraying, and fish are killed from pesticides polluting streams and rivers. Now that we have that figured out let's talk clothing! Adorable, Adorable, Adorable are three words I would use to describe Under the Nile clothing. Oh, I almost forgot-they are also super practical! Elasticized waists, snaps, fold-over cuffs and easy to wash make Under the Nile clothing super easy to use and maintain. Diaper changing is always easy, side snap undershirts are great for newborns, footed pants keep little toesies warm-all practicalities that make life with a newborn so much easier. No worries about itchy seams, narrow necks, rough fabric, unhealthy chemicals-with Under the Nile you are getting the best of everything. Under the Nile offers an alternative to conventional cotton apparel for infants and children. All products are made from 100% handpicked organic cotton, without the use of pesticides or chemicals throughout the entire production process. Grown exclusively in Egypt, the products reflect the extremely soft and durable features that Egyptian cotton is known for. Under the Nile's dyeing process uses metal-free or vegetable dyes. Accessories such as buttons and zippers are made from organically friendly elements such as wood, shell or nickel-free metals. BTW, they also make adorable, organic stuffed toys that are great for teething and pretend play. 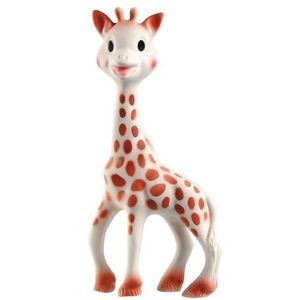 Just wanted to give you a heads up on our Sophie the Giraffe inventory. We are running low on the Sophie the Giraffe teethers and the distributor is out of them for now so get them while they are available!! They are incredible teethers made of natural rubber and BPA free. Check out Sophie!